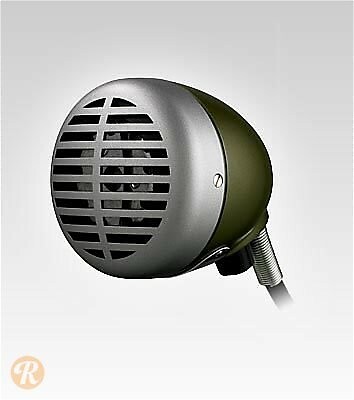 The 520DX is the current iteration of Shure's classic green bullet harmonic mic. Shure's first bullet-style mic was introduced in 1949 and actually evolved out of desk mounted announcement microphones. The current version has a built-in volume knob.